At this time of the year, everyone wants that leaking pipe fixed, or that blocked drain tended to! 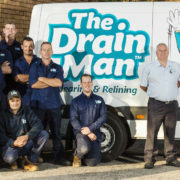 Well we are here to help you, with our fleet of miracle workers from The Drain Man Team, happy to provide 100% guarantee of fixing your blocked pipe or drain everytime! All you need to do is give us a call on 1800 843 372 or leave an inquiry in the form boxes on our website! We will always get right back to you, and be sure to look us up on Facebook, LinkedIn, Twitter and Instagram to stay up to date about what is going on with The Drain Man. At The Drain Man we never stay still. We are constantly growing our business and adding new members to our team. 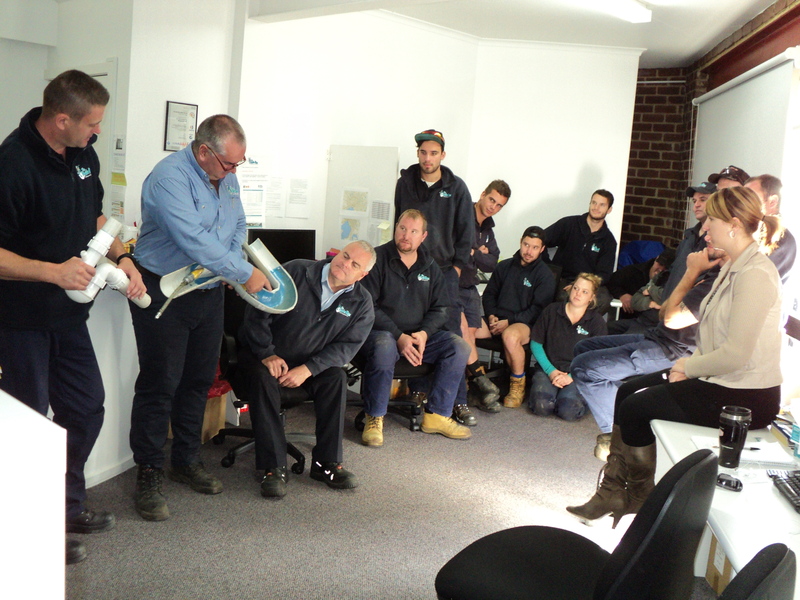 We are very proud to say we now have one of the biggest teams of highly trained specialists in Melbourne. Our team of plumbers are all highly trained in both clearing and relining drains in residential, commercial, industrial, retail, and other premises. Every week our team of plumbers are on the road visiting homes, factories, offices, shops, schools, hospitals, parks, sporting grounds and more, clearing out both stormwater and sewer blockages. We inspect the drain, clear it, then reinspect it to make sure that we have found the answer to the problem and offered our customer a long term solution. If the drain is found to be damaged and likely to block up again, we recommend to our clients to have their drains relined to prevent future problems. The new lining carries a 50 year warranty and so offers very long term protection against tree root intrusions or other problems. Got a blocked drain? 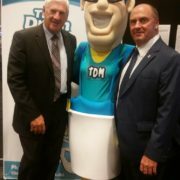 Go with Melbourne’s biggest and best team – The Drain Man! 10mm might not seem like a very large amount, but when it comes to clearing drains it can make a huge difference in the result. 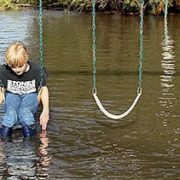 For a very long time, 100mm PVC has been the standard diameter for both stormwater and sewer drains. But in the past 5 years or so, 90mm PVC has become much more popular. This difference of just 10mm between the two sizes of drainpipes can lead to a number of complications if the drain gets blocked and needs clearing. The first problem with 90mm drains is that a getting a camera or drain clearing equipment around a 90°bend is very tight in the first place. Should that drain then have two or three bends, getting equipment around all those bends becomes almost impossible. The second problem is that many 90mm drains are laid with a “T-junction” joint, rather than a junction that joins at a 45° angle. Putting a camera down a drain with a T-junction, means the camera can easily go either way through the joint, causing a great deal of confusion for the camera operator who cannot tell which way he is looking. 90mm PVC drains are often made of recycled material, which makes them more susceptible to squashing as they are less rigid than 100mm pipes. You are most likely to find 90mm pipes in new houses built during the past five years or so where it has almost replaced 100mm. Unfortunately many 90mm stormwater drains are often not laid completely in compliance with regulations and so they do have a tendency to have issues. So if your drains are 90mm in diameter, please understand that they may take longer to clear than regular drains and that in some cases we might not be able to get all the way through to the blockage. We won’t therefore be in and out in an hour, like we can with some drains. Please let us know, if you know, that your drains are 90mm, before we come out. It will help us manage your expectations better. 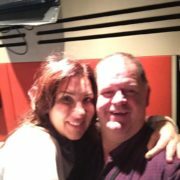 Brendan Dover, aka “The Drain Man”, was recently invited onto Libbi Gorr’s Saturday Morning Show on 774 ABC Radio Melbourne. This is the second time Brendan has been on Libbi’s show and we’re proud to announce that he is now going to be a regular guest on her show. Brendan took calls from listeners, answering their questions on everything imaginable about their drains, from tree roots in them to when you should flush with the half-flush button! It was a lively and enjoyable chat and Libbi’s listeners definitely enjoyed hearing from Brendan. There were lots of calls that Brendan simply did not have enough time to get to. Listen out in the future for more from Brendan on Melbourne Radio Stations, including 774 ABC Radio. What is the secret to The Drain Man’s constant success in drain clearing and relining? The answer is one word – training! From the very beginning, the company has made constant improvement the No. 1 priority. 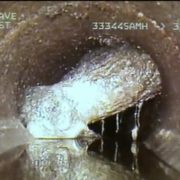 And this all comes from constantly keeping up to date with all the latest developments and techniques in drain clearing and relining. 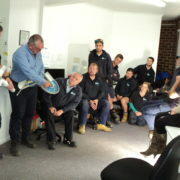 Every two weeks, the whole team, including office staff, management and all the plumbers get together to share knowledge, experience and lessons learnt from the field. New equipment is introduced, discussed and tested in the field if deemed worthy of trial. New techniques in relining are examined to see if they bring about a faster or better result for the customer. The company’s founder, Brendan Dover, regularly travels to plumbing expo’s and conferences here and elsewhere to keep up with the latest advances in plumbing. He tests and checks new indrain cameras, new drain clearing equipment, and other advances to ensure that The Drain Man remains at the forefront of the industry. All of this effort is directed simply towards getting a better result for the customer, in faster time and with better outcomes. Because that, in the end, is who we are all here for – you, the customer! The Drain Man says Do Not Flush! 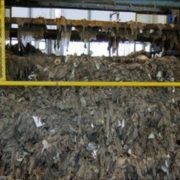 When it comes to so-called “flushable” wipes the question is should you flush or shouldn’t you. Just because the packaging says you can flush them doesn’t mean you should. 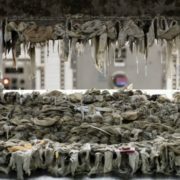 Around the world water and sewerage authorities are struggling with constant blockages caused by these wipes because they don’t break apart like toilet paper does. The wipes also get caught up in equipment and can damage it or even shut down the whole system. The problem will get worse if we don’t do something about it. Baby wipes should be wrapped up and disposed of with the nappy in the garbage system. Toilet wipes should also be thrown out in the rubbish. If you follow these two simple rules you should suffer from less blocked sewers. https://cdn.frankly.com.au/tdm/uploads/2015/07/Wipes-in-New-York.jpg 349 620 Lyndsay https://cdn.frankly.com.au/tdm/uploads/2018/03/the-drain-man-logo-new-2015.png Lyndsay2015-03-19 14:58:492018-04-23 05:17:00The Drain Man says Do Not Flush!